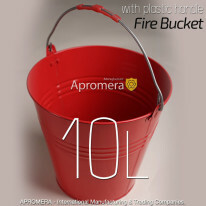 Metal Fire Bucket (in the red color) is the right name for the major extinguishing tool. It can be found on fire billboards in buildings, structures or in the vicinity of these sites in Britain (UK). 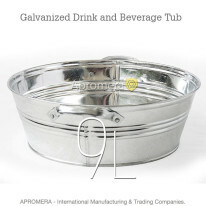 It is designed for delivering sand or water to the seat of flame. 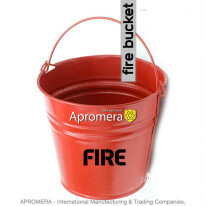 Fire Bucket is manufactured from sheet galvanized steel of 0.40 to 0.50 mm thickness. 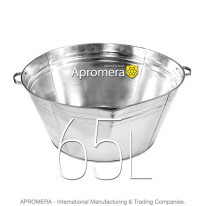 To provide stiffness the upper section of the Bucket across is provided with enforcement ribs and supplied with a comfortable 5-mm diameter handle. The inside and the outside of the container are painted red. The mankind discovered the benefits of the container long ago. 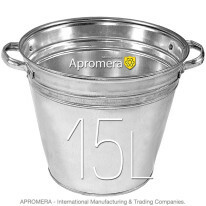 It is the Bucket that has served for a long time as a convenient container helping to carry liquids and any dry substances. 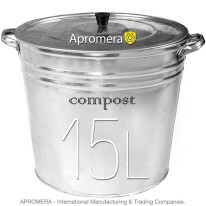 Throughout history people of different nationalities have used containers of any capacity for extinguishing flame or for their private needs. 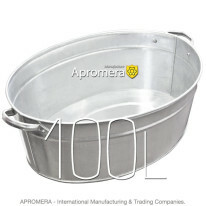 To buy the presented products wholesale, get in touch with our managers via e-mail and specify all relevant issues. Information on Payment and Delivery is available here.